Hi everyone! Now that the Mayweather helm project is all but wrapped up, I thought it would be cool to dabble in something different. 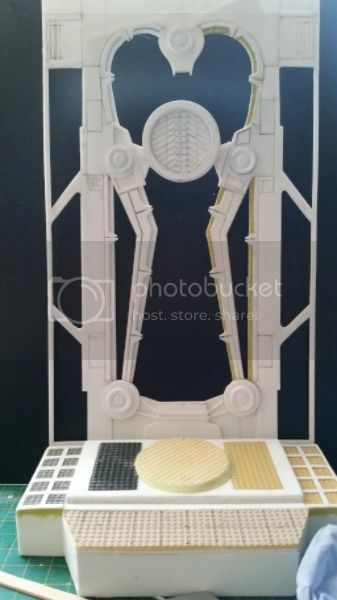 So, as with the above mentioned build, DST/AA got our juices flowing with promises of wonderful Borg queen, Seven of Nine figures etc, and alcoves to display them on. Sadly it never happened. 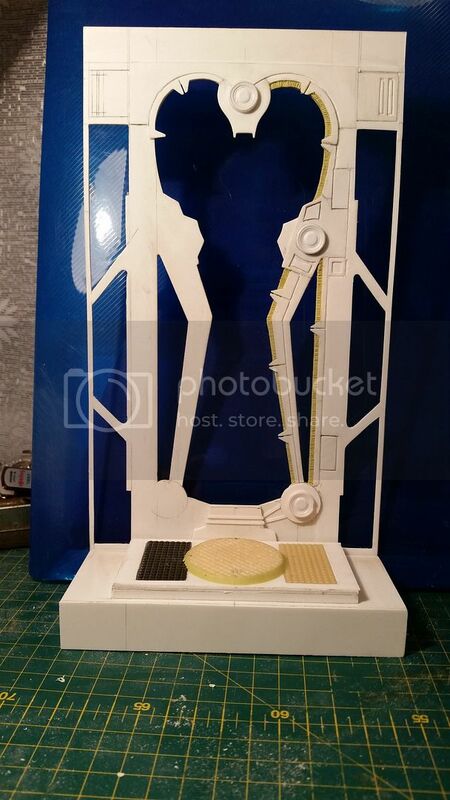 I am simply looking to build three alcoves on which to display my Klingon, Hirogen and Cardassian Borgs. They will be internally illuminated and the green plasma screen things will also function. Here's the start I have made. Hope to have another update soon. this project will be followed with great interest! If it's as awesome as your previous ST:Ent... it'll be great! Very nice start! 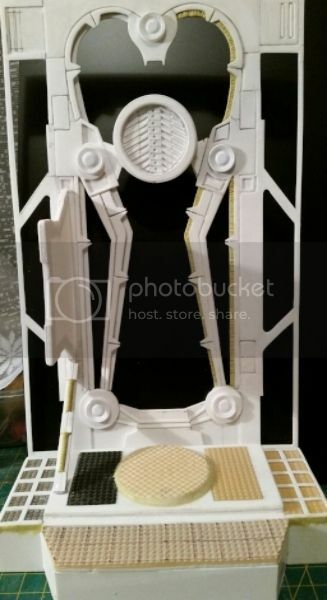 What material is that gold fringe things around the large opening? Thanks Guys. El Gato, the fringe is made of Milliput and then ribbed with a knife blade. Finally back on this project and making some long overdue progress! 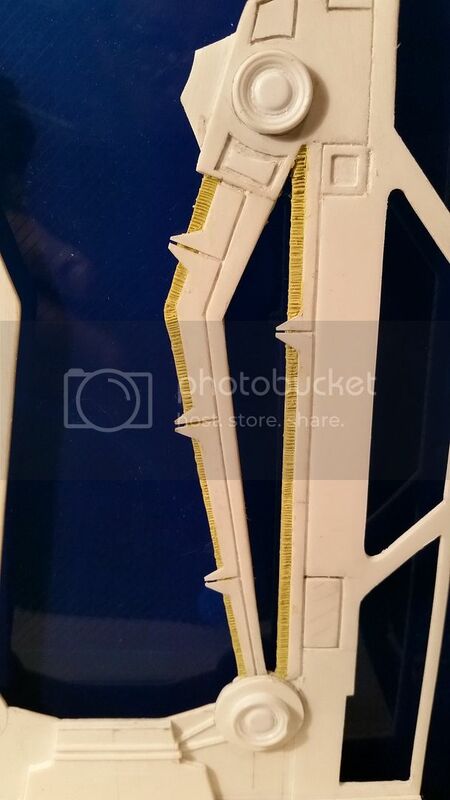 The whole front section is pretty much complete now except for the "crimped tubing" effect which I do in Milliput. The disc section has been a bit of a challenge to say the least but I am happy to see it completed. Lots of detail to be taken care of. Heres one for sizing with a figure. I am really pleased with how this is coming together so far. More soon! 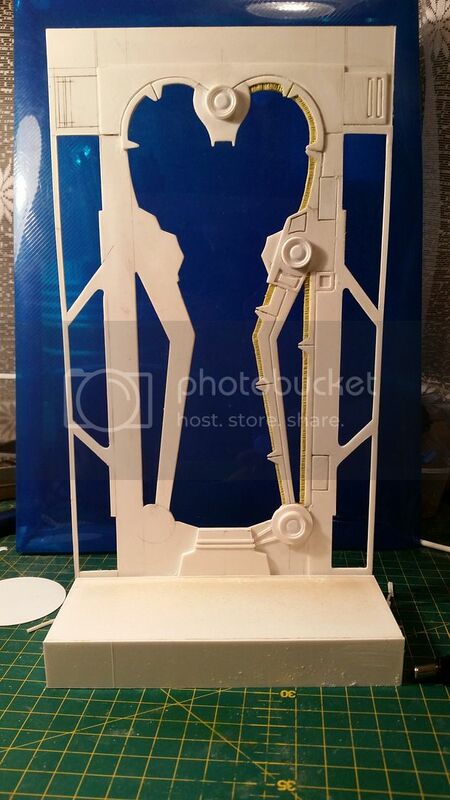 will it be illuminated/lit up after completion? 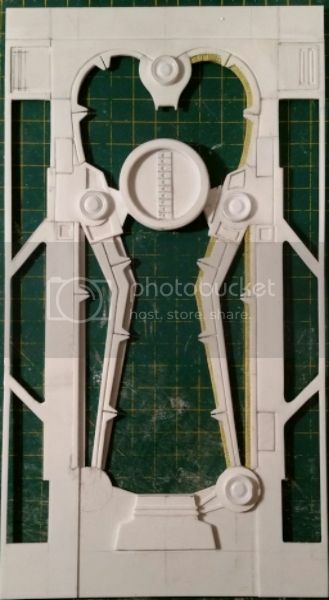 Is locutus (ST:FC style) in the works? 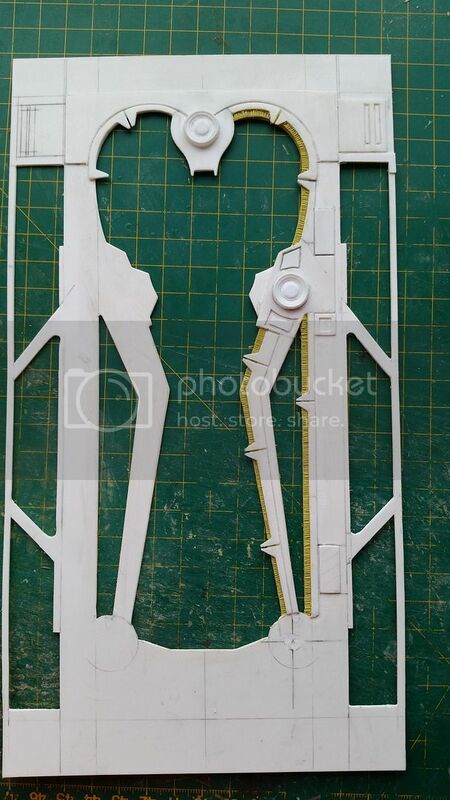 airbrushing and petina powders/ageing and weathering powders? 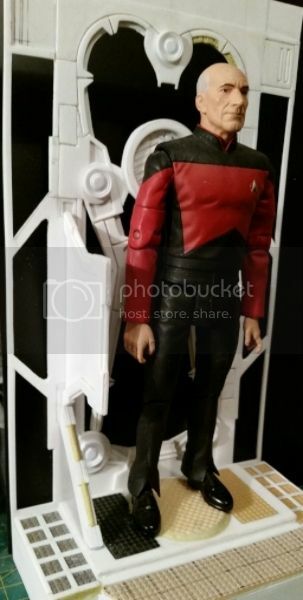 to the darker and shiny TNG/ST:FC versions. Thanks for the feedback, Kobayashimaru. Now to address your questions. 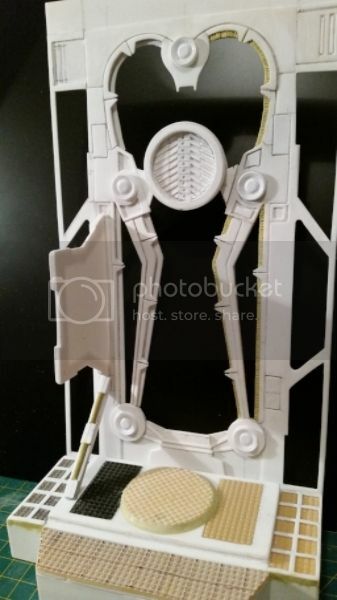 I will be making three of these so I will be moulding and casting the parts and, like the Mayweather helm station, I will then sell copies to anyone who wants one. Mine will be lit and have miniature plasma effect screens but the kits will come unlit but with the provision to be upgraded should the buyer choose to do so. 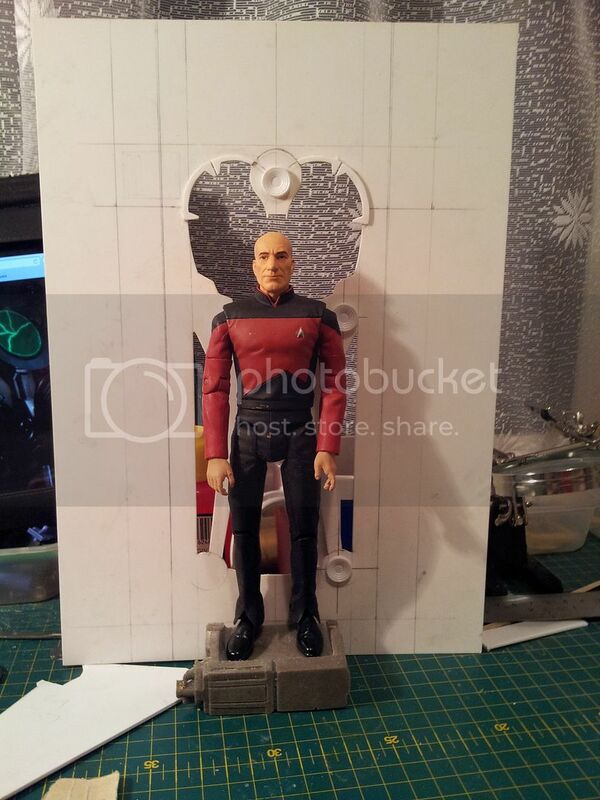 As for the paint scheme, I am in two minds; as you so rightly point out, the ST:V alcoves are a lot more colourful than the ST:TNG alcoves so, maybe I will paint up one of each and a third that is somewhere in between. Sometimes with models, the colour option is better because it helps to bring out the tiny details. 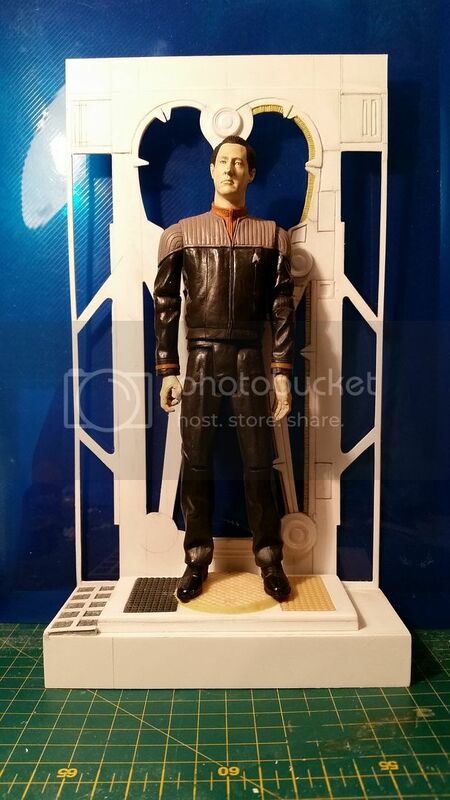 I'll be sure to pass along the good news for borg fans, and those details along to the local trek scene. I've had a busy couple of days but I did manage to provisionally install the overhead plasma display. Here are a couple of short videos to show you how it looks. Atlanthia wrote: Thanks Guys. El Gato, the fringe is made of Milliput and then ribbed with a knife blade.